This is the third part of a three-step control group experiment attempting to get the Hummingbird Bakery's vanilla cupcakes recipe to work in the high altitude environment of Denver. Since I started this oh-so-fruitful experiment, I have long since suspected that baking powder is responsible for the majority of the recipe's failure. Recall that baking powder is a leavening agent; that is, baking powder is a chemical that produces carbon dioxide in the cupcake batter, causing the batter to rise when baked. Since air pressure lessens at higher altitudes, there is less air pushing down on the cake batter, causing it to rise much more easily. 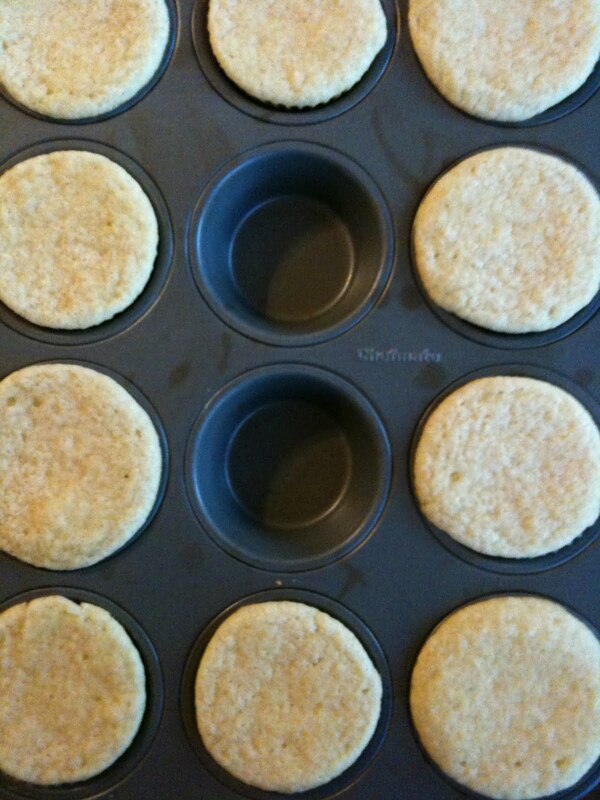 The higher the elevation, the less air resistance, the more easily the baking powder will work. Now note that Hummingbird Bakery's original recipe calls for an extraordinarily large quantity of baking powder -- 1.5 teaspoons for 12 cupcakes, as a matter of fact. To compare, Thomas Keller's Ad Hoc recipe for white cupcakes calls for 2 teaspoons for 24 cupcakes. That means that the amount of baking powder in a Hummingbird Bakery recipe is nearly as much as the amount of baking powder in a recipe that yields twice as many cupcakes! This is the first time I've made cupcakes here that have come out with dome-like tops as opposed to the sunken, cratered centers. This time, there were also no overspilling, save for a couple bloated ones here and there. 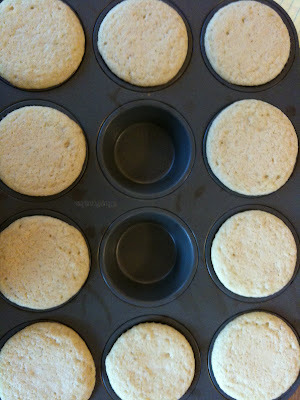 Okay, maybe not that domed -- to be fair, they still looked a little flat-topped. But a definite improvement from the cratered centers of my previous attempts. Even the additional flour didn't yield cupcakes this good looking! Same angle, twenty minutes later. Nearly indistinguishable from the above photo when the cupcakes were still warm. Okay, okay, to be fair, I exaggerated a little bit -- the cupcakes did flatten out a bit as they cooled. The end results were still a little too flat for my liking, but they were at least starting to look like actual, solid, edibles. I think I was a little too conservative with the reduction of baking powder -- next time, I think I'll reduce the baking powder by a full 1/2 teaspoon and see where that takes me. So how did the cupcakes actually taste? They tasted... fine. 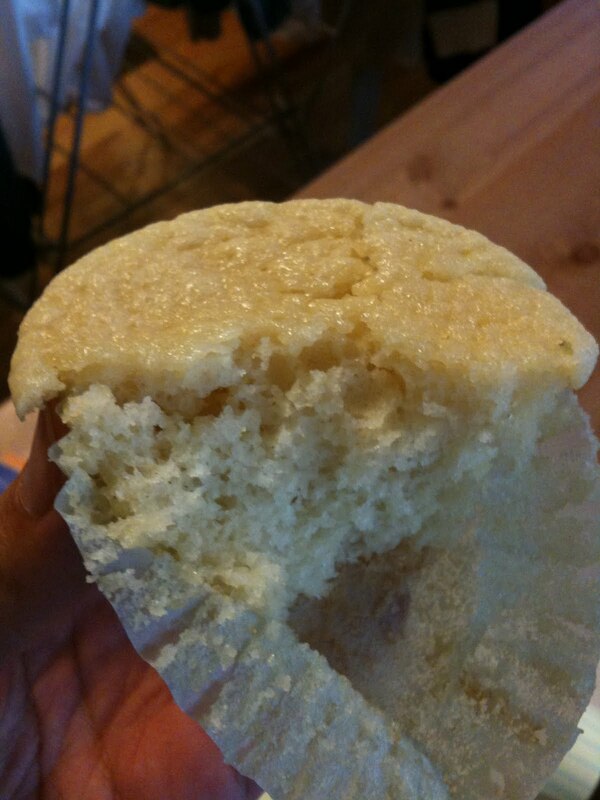 Definitely not Hummingbird flavor -- still way too sticky and moist. A little gummy even. Erlend suggested that the gummy flavor might be a result of being undercooked -- truth be told, the cupcakes do look a little pale (they're supposed to be a golden color as opposed to the pale yellow they are now). I guess this means that I'm going to have to start playing with temperature soon. But not after I keep messing with the baking powder. All in all, I feel good about this, guys. Things are starting to look good. Finally.